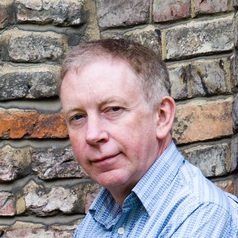 Dr Hugh Hunt is a Reader in Cambridge University's Engineering Department and recipient of the Royal Academy of Engineering Rooke Award for the public promotion of engineering. His research interests include railway noise and vibration, gyroscopes and boomerangs, wave power, vibration of bell towers, and renewable energy. He is Keeper of the Clock at Trinity College Cambridge. 2015 Building Hitler's Supergun: The Plot to Destroy London. As at July 2016 he as a Conversation readership of 1,040,000 most in the UK and the USA and largey as a result of re-publication in prominent journals such as CNN, The Daily Mail, The New Statesman and IFLScience (which definitely reaches younger people).